People respect the wolf for its strength,agility, intelligence and capacity for devotion. 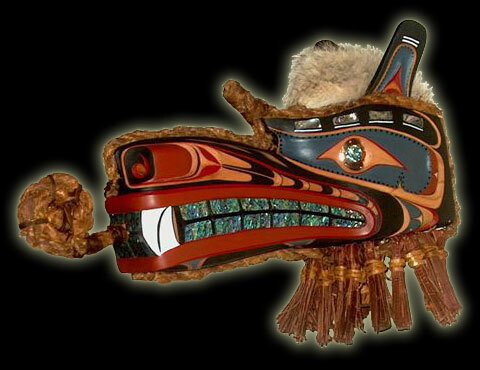 Wolf is a principal crest of many prominent Northwest Coast families. Width - 10" | Length - 20 " | Height - 21" I Overall length with cedar tongue - 27"